My Child Has Lice, What Do I Do Now? If your child comes home from school with lice, what do you do now? Although head lice do not carry diseases, they can cause itching and are easily passed from person to person through head-to-head contact. Lice are six-legged parasites that are the size of a sesame seed and live on the human head. The warmth and food that the head provides help keep lice alive. Without access to this environment, they dehydrate and die quickly. 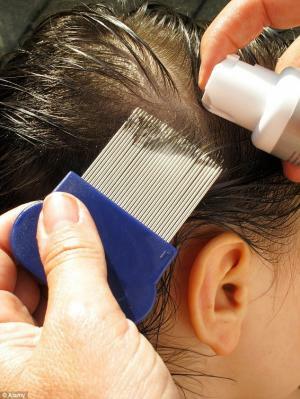 Use a nit comb to remove lice and eggs from hair. Apply lice medication (pediculicides). It’s helpful to choose pediculicides that kill the lice already living on the head as well as eggs. Do not use shampoo or conditioner before using lice medication. Have your child change into clean clothes after treatment. Soak combs and brushes in hot water for 5-10 minutes to kill lice that may be living on them. Vacuum floor and furniture, especially areas where infested individuals spend significant time. There are several over-the-counter and prescription medications on the market used to treat head lice. If lice are still alive after a full course of treatment, don’t retreat. Instead, contact a healthcare provider immediately. FastMed Urgent Care is committed to providing prompt, quality healthcare to families across NC, AZ and TX. If your child has lice and you still aren’t sure of what to do next, contact your local FastMed Urgent Care! Find out more about FastMed in your community by liking us on Facebook or following us on Twitter.